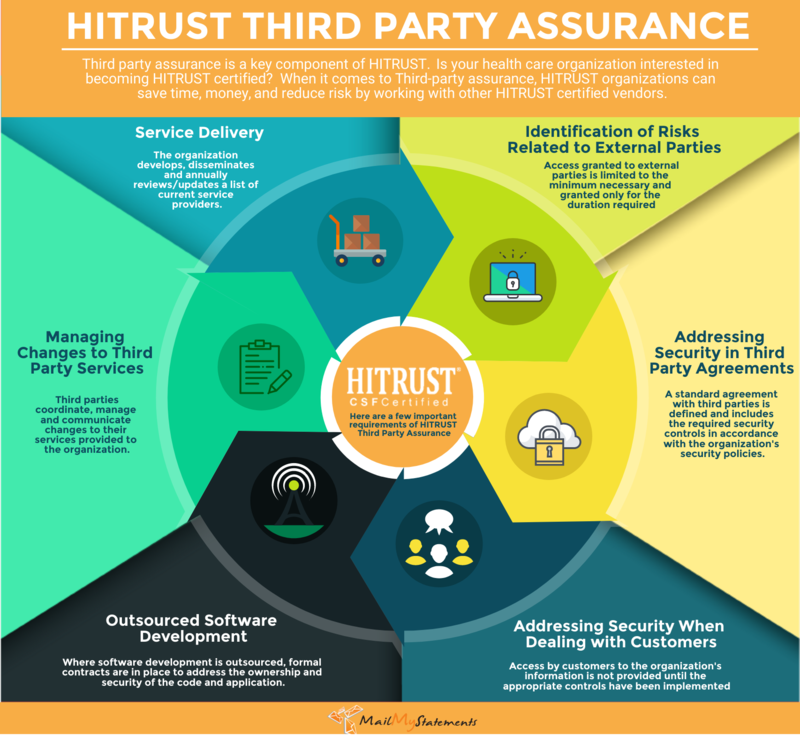 MailMyStatements was one of the first 3rd party Healthcare Printing and Mailing Vendors to attain a HITRUST Certification. 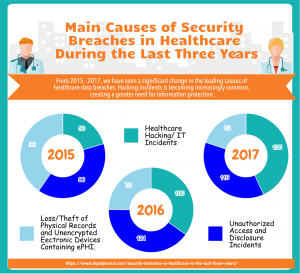 With the explosion of Data breaches in the Healthcare sector over the last few years, we want to ensure our clients understand our increased commitment and assurance to protecting their sensitive data. When it comes to third-party vendors handling your organization’s Protected Health Information (PHI) and other sensitive information, a business associate agreement or confidentiality agreement is not enough. 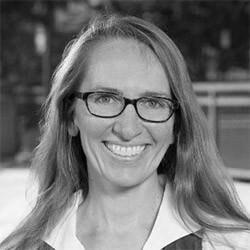 Many organizations rely on third-party vendors to perform key services involving the exchange of sensitive information. Your organization needs concrete assurance that your private information is safe in the hands of a secured medical billing vendor. Since 2016, we have provided our clients’ healthcare with the most extensive and comprehensive assurance by maintaining a HITRUST certification and a secure medical billing process. What are the chances the wrong document gets mailed to the wrong party? MMS uses the most advanced technology and best practice processes to insure the wrong document never goes to the wrong party. Each mail piece is bar-coded and photographed once sealed to insure each mail piece is properly accounted for prior to mailing. What does MailMyStatements know about healthcare? MMS is focused on healthcare and lead by healthcare experts. MMS’ HITRUST certified platform was designed to serve healthcare and securely process sensitive information. Yes! In fact, MMS is one of the few companies performing print, mail, and payment services that is HITRUST certified. HITRUST is the most extensive certification a healthcare entity can have in regards to information security, data processing, and compliance. How do I know MailMyStatements secure? MMS is HITRUST certified. The certification is renewed annually and audited by an accredited third party. 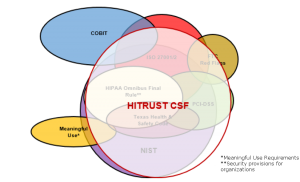 HITRUST maintains a common security framework (CSF) by harmonizing all health care information security compliance standards. A HITRUST CSF certification is valid for two years and is only awarded after careful assessment, validation and approval, which includes on-site visits. A HITRUST CSF certification allows organizations to follow all HIPPA security compliance standards while painlessly transitioning and evolving into better protocols for patient information management. All security requirements from multiple regulations are brought together in one central location for tracking compliance, saving organizations both time and money. Requiring vendors to achieve a HITRUST certification showcases an organization’s commitment to the security of patients’ sensitive personal and medical information. 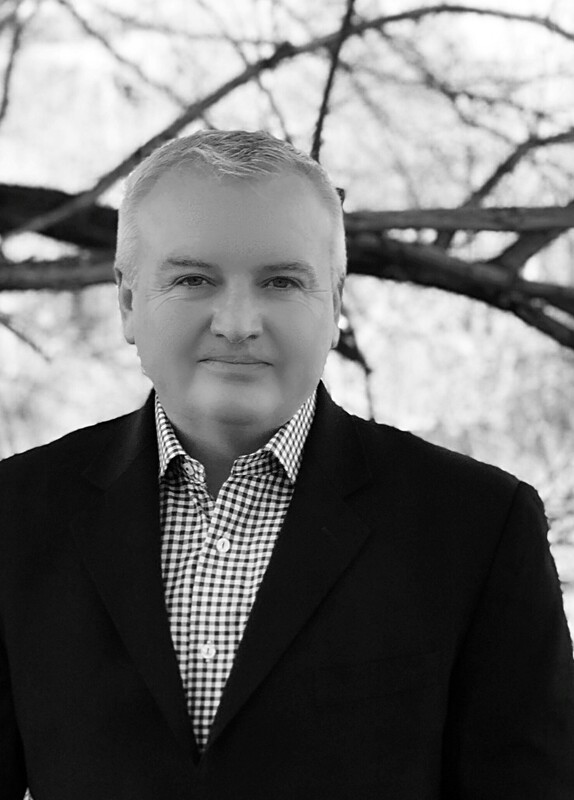 Why should you use a HITRUST Certified Vendor? HITRUST CSF (Comprehensive Security Framework) is a standardized approach for healthcare organizations to follow in mitigating information security risks. When an organization tells another they are HITRUST certified in the healthcare industry, that entity can be assured of the level of information protection being utilized. The CSF makes it easy for an organization to understand and verify another organization’s stance and status as it relates to healthcare information security. You can learn more about HITRUST in our blog section! For even more information you can download our HITRUST White Paper. In 2015, MMS made the decision to be HITRUST certified, allowing us to protect patient information at the highest level in our industry. We are one of the few printing, billing, or mailing companies to have this level of certification. We care about our clients’ information, and no matter your industry, we want to protect your sensitive data. Watch the video to learn more about our culture of compliance!